﻿ A.R. Winery - Ohio. Find It Here. They are excited to share their wines with you! 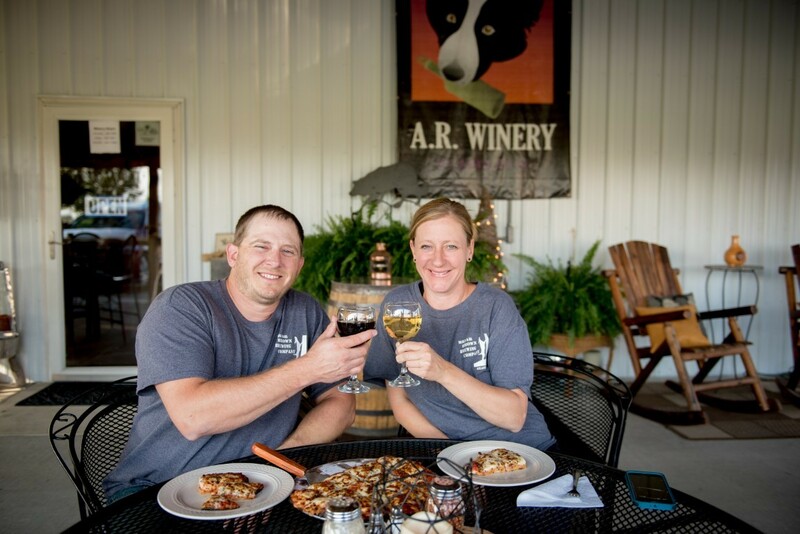 They both were raised in Darke County and are thrilled to be opening a winery on the farm. Russell & Angie met at a dog festival in Greenville 5 years ago. Angie was in charge of the festival & Russell demo'd his flyball & disc dogs during the event! Three years later... They are married & share a dog named, FUEL. They thought it was perfect that their wine label was a picture of Fuel. He's a two year old Border Collie full of energy and an amazing flyball dog! Russell has been home brewing wines for years & has decided to share his wines with the community! Angie enjoys wine tasting & can't wait to open her doors to you! Come taste the rich & savory wines her husband is so proud of! This summer, join them on their farm to sip on their one-of-a-kind wines while soaking up the quiet country life.